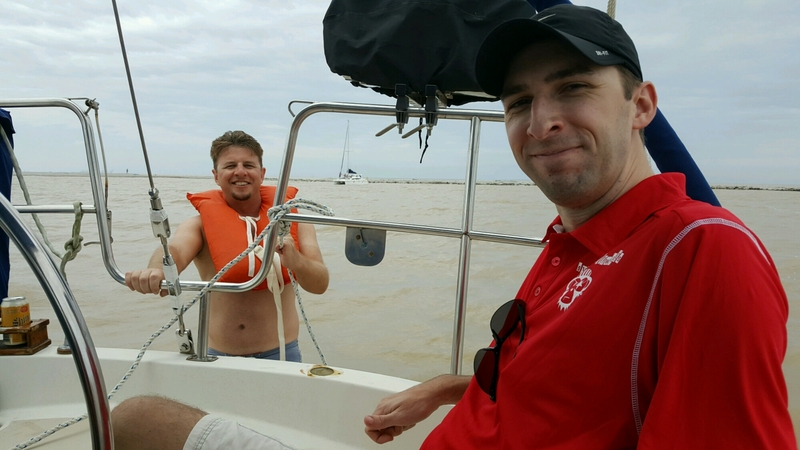 The torrential rains of Texas cleared just long enough for me to take a few friends out on Galveston Bay to celebrate Memorial Day. I even fixed the flag halyard, so we could hoist Old Glory to commemorate the occasion. Mary has been in Illinois for what seems like months, but thankfully there were a few people around willing to celebrate with me. 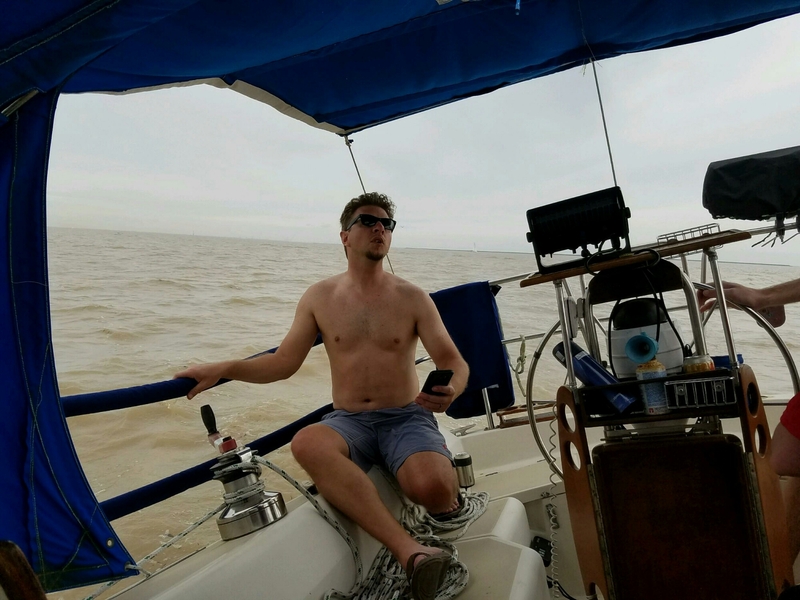 The wind started slow but picked up throughout the day, and we got some nice speed on our way to Redfish Island — as documented by TJ up on the bow. Cloud cover kept the heat from getting unbearable. I made sure to keep Mary posted regarding the extraordinary level of fun we were having without her. 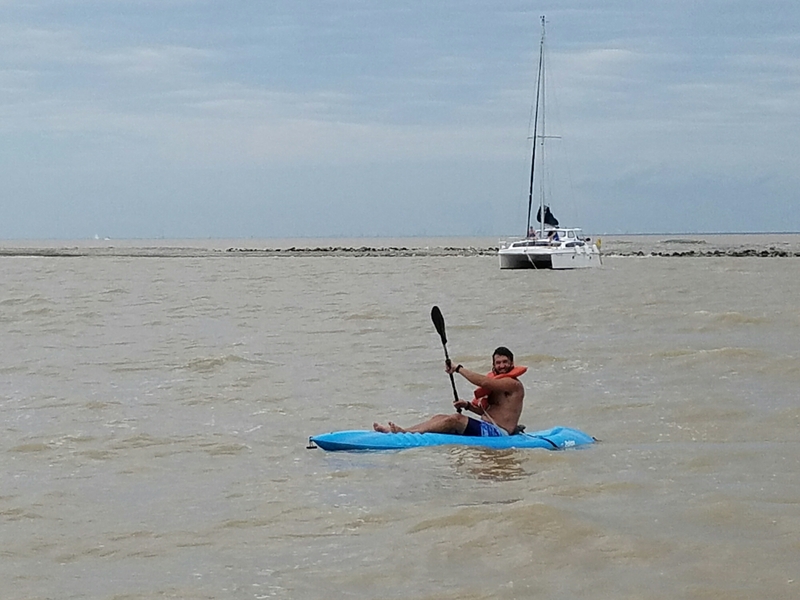 And for the first time this year, we finally got in the water for some swimming and kayaking. While we have some nice harness and belt PFDs, we don’t actually want to get those wet and have them inflate. Therefore, when it comes to floating in the water and splashing around, we have to resort to the old orange PFDs. I mean, I look good in them, but perhaps it’s time to upgrade to at least the cheap West Marine life jackets.